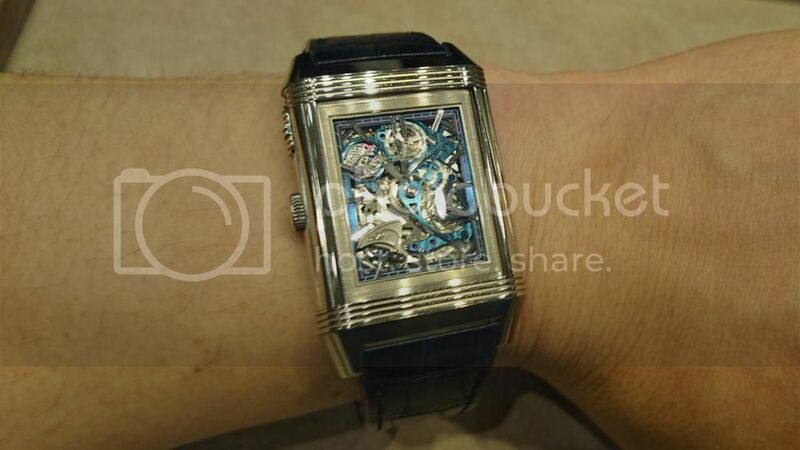 Thanks to the ever so helpful sales associate today, I had the opportunity of strapping on the Reverso Repetition Minutes a Rideau Venise ref 235352M and listening to its wonderful chime. Only 8 of these were ever crafted and is comfortably beyond the means of a mere mortal like me but oh boy what a piece it was to behold! Such heft in all its white gold glory and clearly the big daddy Reversos. 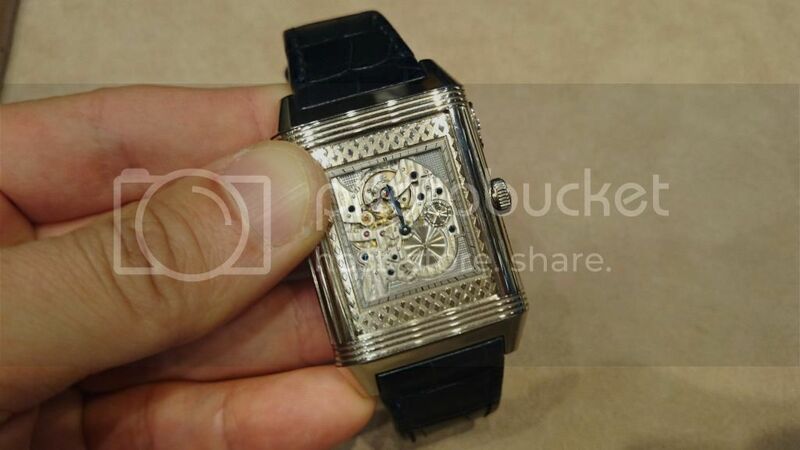 As much fun as it is to flip a Reverso, there's a slider to lock the case in place and prevent it from accidental flipping. When it came to actuating the repeater it required finesse, this was done by flipping over to the secondary time and sliding the heavy spring-loaded white gold curtain back. 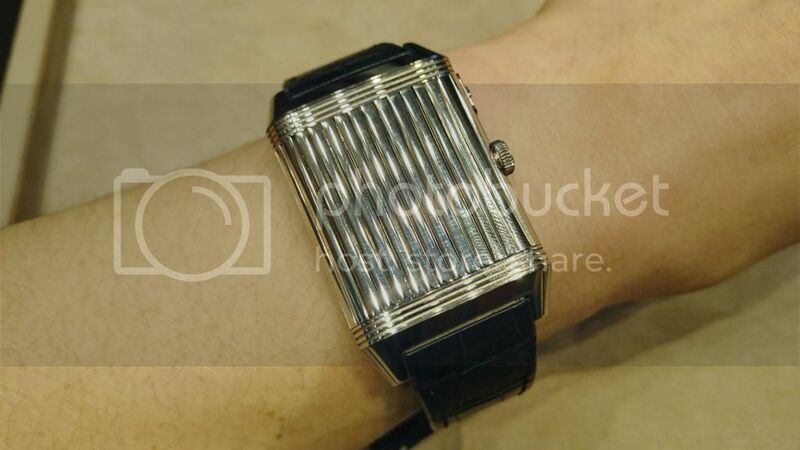 This was best done with the watch off-wrist unless you have grippy fingers and have the watch very tightly strapped. Nonetheless the sense of occasion was sublime.